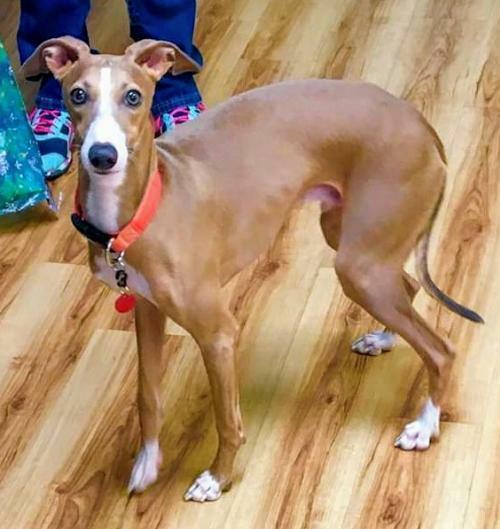 These Italian Greyhounds are available for adoption in Missouri and Kansas with IGCA Rescue. Please submit an adoption application if you would like to be first on our list of potential adopters. Sometimes dogs don’t make it to our available list because we had the perfect approved adopter waiting for a dog. Hmm, looks a little different you say? 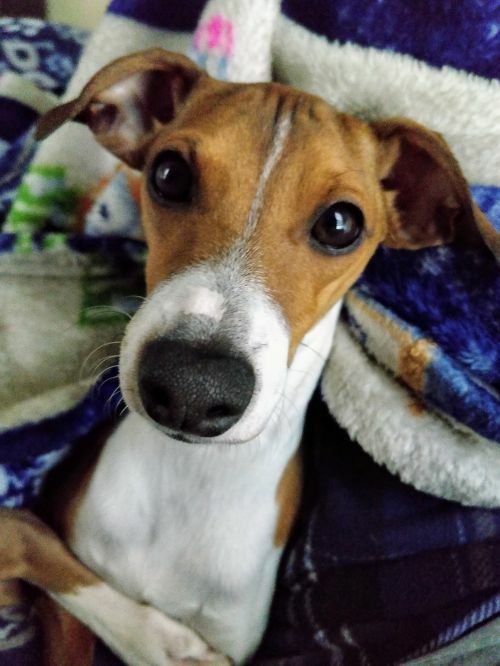 Ace is an Italian Greyhound/chihuahua cross, and just the cutest little guy! He is not quite 2 years old (birthday in July), and full of love and energy. He is piddle pad trained currently but could learn to go outside with an owner willing to train him. He can not "hold it" all day, as he is only 6 lbs. This ball of energy loves people other dogs and kids (preferably over 5 years of age). 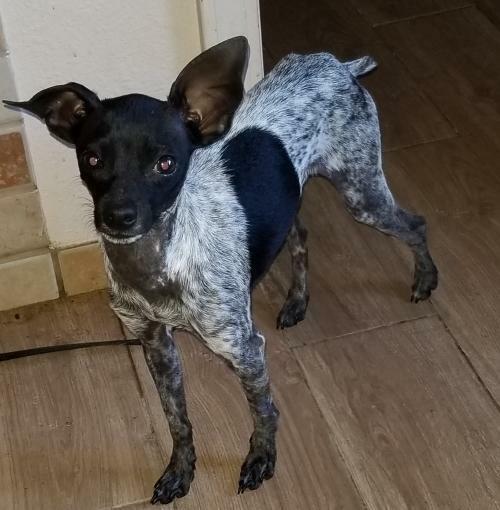 Ace will be current on immunizations, on heartworm preventative, and neutered prior to adoption. Ace would prefer a fenced yard as he is used to having a place to really run. 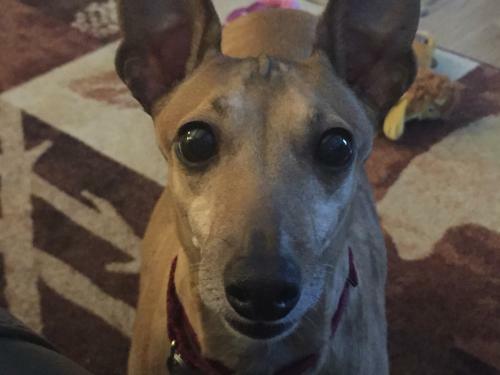 Since Ace is not a "pure" Italian Greyhound, his vet bills are funded by a volunteer. If interested in adoption, you can find our application on our website igrescue.com. All potential adopters will need to come to the Kansas City area to meet him; we will not ship. Ryder is all puppy! Heâs usually a blur unless heâs sleeping. Ryder is playful, sweet, and loves to cuddle and is working on learning manners in his foster home. He follows the other dogs around and mocks what they do, but doesnât pick up on cues from other dogs to correct his behavior. Even growling and teeth baring wonât stop him from being the annoying little brother, so he will need an equally playful fellow dog and one who is patient as he learns. Ryder is learning how to use potty pads and go outside but like all IG puppies, potty-training is a work in progress. Zita is a shy girl learning how to be a loved family pet. She's not comfortable being picked up yet, but she's very happy sitting next to her foster parents on the couch or the bed. She's watching the other dogs in the home ask for attention and has even asked for it herself a couple of times. Zita observes the other dogs closely to see what they do, so would do best in a home with another dog from which she can learn. Because of her shy nature, she needs a home with no young children but does do well with other dogs and cats. A fenced yard is required for Zita. 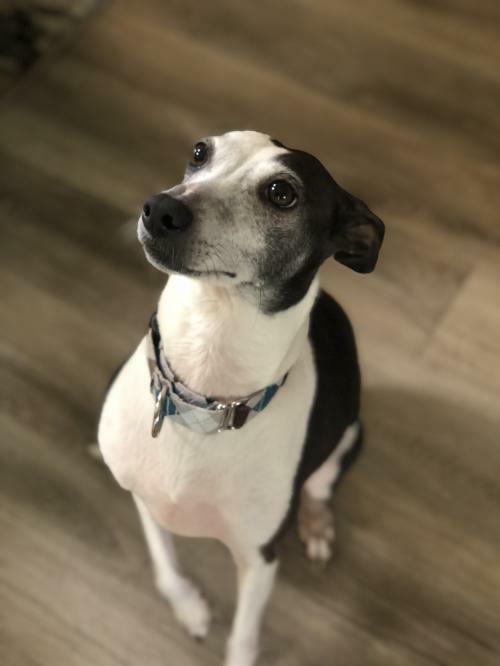 She's never been taught about housetraining, so will work on that in her foster home and need someone who will be patient as she learns how to be an inside pet. She will likely lose a number of teeth in her upcoming dental and will be spayed before her adoption. With some love and consistency, this sweet girl is coming out of her shell more each day! Kenzie spent her life up until now not knowing how to be a loved household pet, but she is quickly learning the good life in her foster home! She still runs and cowers when someone goes to pick her up but once sheâs settled in, she is a pro in the cuddle department! Although she is a shy girl, she warms up quickly and is full of life and love to give. Kenzie gets along great with the other dogs in her foster home and even likes the cats! Because of her shy nature, she needs a home with no young children. She has learned to love sleeping on furniture and with cozy blankets. A fenced yard is required for Kenzie because she loves being outside, does not have good leash skills, and is very hard to catch. Sheâs learning how to use stairs (will go down but not up yet) and doing well using piddle pads inside the house. Kenzie will likely lose a number of teeth in her upcoming dental and will be spayed before her adoption. Ralphie is a stunning biggy iggy who is still trying to learn how to trust humans. Heâs one year old but his early life experiences have affected his socialization. He LOVES his foster mom but is unsure of most everyone else, including his foster dad. Ralphie has all the energy of a typical IG puppy and needs a home with a confident, playful dog with good manners from which he can learn. He must go to a home with a 6 ft privacy fence and experience with Italian Greyhounds. Ralphie will not do well in a busy home with lots of comings and goings. He is working on his potty training and leash skills and is not a dog that you can reliably take out on to dog parks, etc. Ralphie is UTD on vaccines, neutered, heartworm negative and on preventative. IGs love to be bed buddies! 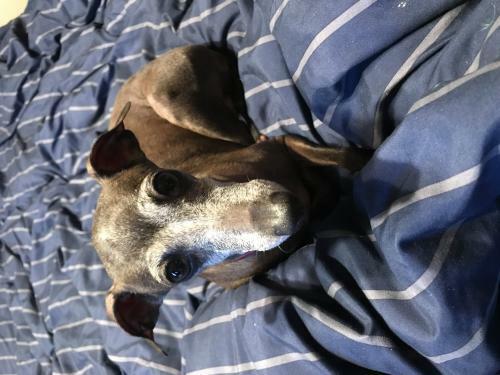 Did you know Italian Greyhounds prefer to sleep not only in bed with you, but also under the covers?